While most people know Samsung for their high-end Galaxy S smartphones or Galaxy Note tablets, the Korean tech giant has also been known to produce a variety of devices aimed at people who are looking for something a little bit more affordable. After all, not everyone can strut around with a Galaxy S5 or Galaxy Note 4 in their pocket, can they? That said, there are plenty of low-end and mid-range Samsung devices to choose from, but today we’ll only be taking a look at the Samsung Galaxy Core and the Samsung Galaxy S Duos 2. These devices are rather evenly matched, but as it’s usually the case, one might be just a little bit better than the other. So, let’s find out how they stack up against each other, shall we? Starting off with the Samsung Galaxy Core, we’re looking at a phone announced “way back” in May of 2013 and released shortly after in June. More than one year and a half later, this handset is still worth looking into thanks to its decent specs and dual-SIM capabilities. The price tag is nothing to sneeze at either. At first glance the Samsung Galaxy Core looks very similar to the Samsung Galaxy S4, which happened to be the company’s flagship around that time. The design choice was likely no coincidence as this device was meant to be an alternative to those who couldn’t afford the rather steep price attached to the S4. Design-wise, you can expect to find an all-plastic body coupled with a metallic-looking frame and removable back cover. The trim seems to be made out of aluminum but at a closer inspection you’ll find the very same plastic we’ve all come to expect from Samsung. Now, that’s not necessarily a bad thing as the Samsung Galaxy Core was not designed to be visually impressive, but rather to be a reliable and affordable smartphone. That being said, this phone is by no means ugly, but it won’t turn any heads either. On the technical side of things, the Samsung Galaxy Core offers a 4.3 inch display with 400 x 800 resolution and 217 pixel density. Under the hood you’ll find a Snapdragon dual-core Cortex-A5 processor clocked at 1.2 GHz, with Adreno 203 GPU and 1 GB of RAM. All in all, you can run most apps available on the Samsung Galaxy Core’s version of Android with this hardware. In addition, you also have a 5 MP primary camera with autofocus and LED flash along with a secondary VGA camera for selfies. The battery comes in at 1,800 mAh while the initial storage memory sits at 8 GB. The storage can also be further expanded up to an additional 64 GB via microSD. The Samsung Galaxy Core runs on the Android 4.1.2 JellyBean operating system. Similar to the Samsung Galaxy Core, the Galaxy S Duos 2 also comes with dual-SIM capabilities and a rather generic design. Released back in December of 2013, this handset is not a pain to look at, but doesn’t scream wow either. In other words, just like its competitor for today. Materials used here are limited to plastic again, with the same metallic-looking trim surrounding the chassis. Overall, the Samsung Galaxy S Duos 2 looks very similar to the Galaxy Core apart from a few details. The edges here are a bit more rounded while the trim is broader and goes all the way to the back. The back panel, which is somewhat smaller because of this design choice, also features a different pattern. Aside from all of that, the two devices are very similar in many ways, especially when viewed from the front. On the back however, you’ll find a couple of differences, including the button placement, but if you’re even a little familiar with Samsung smartphones you’ll immediately know what everything is and what it does. In short, the Samsung Galaxy S Duos 2 doesn’t try to reinvent the wheel. This is an even more compact phone than the Galaxy Core, which unsurprisingly translates to a smaller display. The device comes equipped with a 4 inch screen with 480 x 800 resolution and 233 ppi. In terms of hardware, the Samsung Galaxy S Duos 2 offers a BCM chipset with dual-core Cortex-A9 processor running at 1.2 GHz, Broadcom VideoCore IV GPU, and 728 MB of RAM. The 5 MP camera with autofocus and LED flash is present here as well and you also have the VGA secondary shooter. Unlike on the Samsung Galaxy Core, the Galaxy S Duos 2 only comes with 4 GB of storage right off the bat, but you can still expand that by an additional 64 GB thanks to the incorporated microSD card slot. As for the battery, the available unit comes in at 1,500 mAh. The Samsung Galaxy S Duos 2 also runs on the Android JellyBean operating system, albeit on a later version, namely 4.2.2. Now that we’ve taken a look at what each of these smartphones has to offer, it’s time to see if one is potentially better than the other and why. If you’re choosing based solely on the design that it will mostly boil down to individual preference. The Samsung Galaxy S Duos 2 is a bit more rounded and smaller than its sibling while the Samsung Galaxy Core is somewhat more rectangular, which comes as a result of it drawing inspiration from the Samsung Galaxy S4. Choosing based on the hardware may prove to be a lot easier as the Samsung Galaxy Core comes equipped with a set of specs that are superior in many ways to those found on its competitor. The differences aren’t huge all things considered, but they’re there. When it comes to the software, we’re looking at quite the opposite, with the Samsung Galaxy S Duos 2 running on a newer version of Android. It’s worth mentioning that you’ll be hard pressed to find any updates because Samsung doesn’t really support these phones anymore, so keep that in mind as well. Always an important aspect to take into consideration, the price tag will likely play an important part in your decision. Both the Samsung Galaxy Core and the Samsung Galaxy S Duos 2 are already very affordable so you won’t have to spend all your savings regardless of what you may choose. That said, one is just a bit more expensive than the other and it’s the Samsung Galaxy Core. Generally speaking, this smartphone gravitates around the $180 mark, although you should find some cheaper offers for it at some retailers if you look around a bit. By comparison, the Samsung Galaxy S Duos 2 goes for as low as $130, but again, if you look around you could find it cheaper. Pricing naturally varies depending on region, but the mentioned ones are generally pretty accurate if you want to buy these phone from US retailers. Also, those are the prices for the unlocked versions. All in all, the Samsung Galaxy Core seems just a little bit better at the end of the day, which is why the price is a bit higher as well. On the other hand, if you don’t care about hardware all that much and find the design of the Samsung Galaxy S Duos 2 to be more appealing, then the choice should be clear to you. 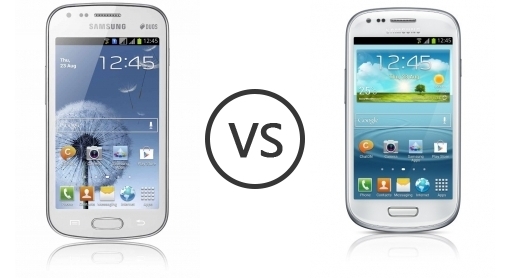 As always, it’s up to you alone to decide which smartphone is better suited to your needs. Next Walmart is taking preorders for Kingdom Hearts 3, Metal Gear Solid 5, and Final Fantasy XV.